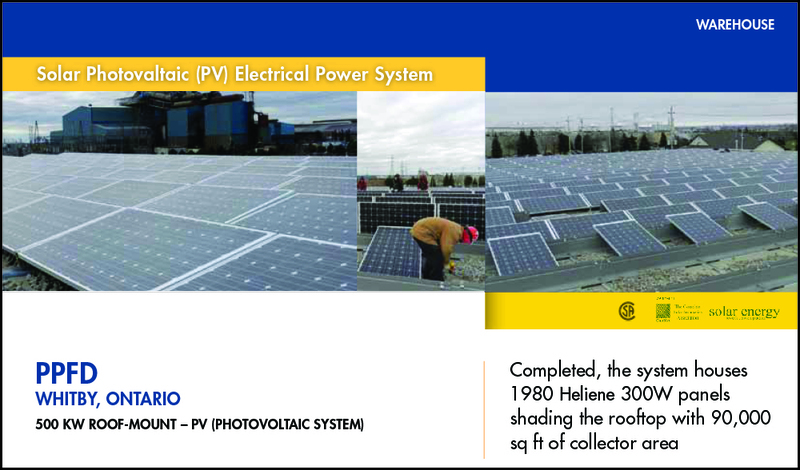 PPFD Project – Heliene Inc. | PPFD Ltd.
We teamed up with Global Point Energy and have installed a Solar Photovoltaic (PV) system that collects the sun’s energy and transfers it into electrical power. DC power is produced and inverted to AC power, which is then directed to the open grid. Sustainability is based on a simple principle: Everything that we need for our survival and well-being depends, either directly or indirectly, on our natural environment. Sustainability creates and maintains the conditions under which humans and nature can exist in productive harmony, that permit fulfilling the social, economic and other requirements of present and future generations. Sustainability is important in making sure that we have and will continue to have, the water, materials, and resources to protect human health and our environment. 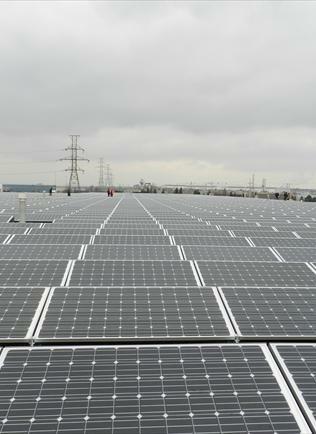 PPFD is promoting innovative green business practices by installing a 500kw Solar System that generates enough power annually to run an estimated 75 homes for a year and offset approximately 600 tons of CO2 emissions annually. 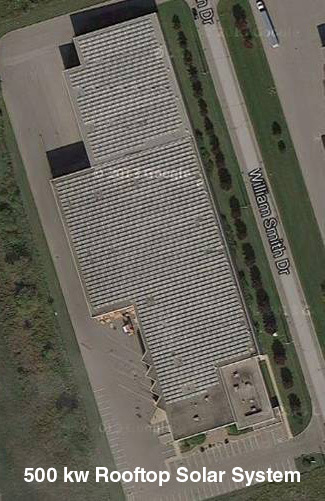 This project, the largest solar rooftop installation in Durham Region, was installed in 2012 and has significantly reduce our environmental footprint. • Retrofit existing building structure to conserve electricity & natural gas use. • Provide a clean and renewable energy source that will aid in power generation for decades to come. • More aggressively consume only products and services that use cleaner energy or are more energy efficient. PPFD is committed to conserving energy within its own operations and encourages our clients to make a difference by implementing their own energy saving measures. The growing problem of poor air quality, combined with the intensifying risks of climate change, has made us more concerned about the way we produce and consume energy. By reducing energy consumption, we can save money, improve air quality and reduce negative impacts on the global climate. Solar power is increasingly attractive as an alternative method of generating heat and electricity because it is a renewable energy source and it has zero emissions. Source: PPFD Project – Heliene Inc.